1960s: Rocket flies into sky. Rocket on launch pad. Rocket launches. 4k00:221960s: Men watch rocket take off. Rocket in sky. 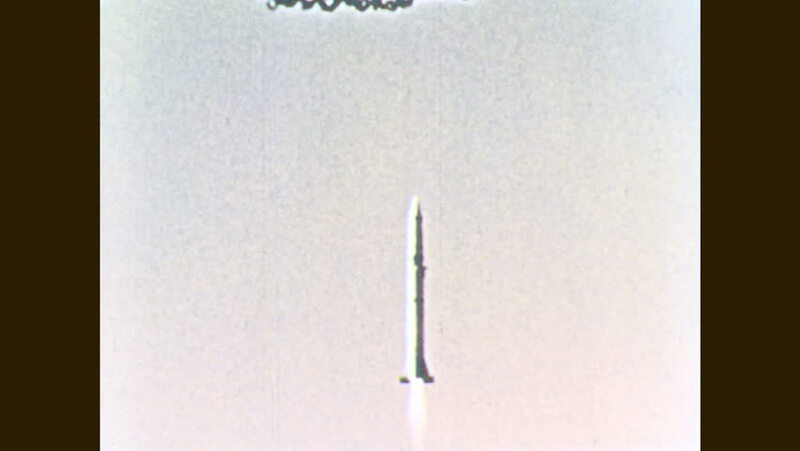 hd00:311970s: Rocket launches into space. hd01:23CIRCA 1954 - Features of Atlas Intercontinental Ballistic Missile flight test vehicles are shown in an animation. hd01:20CIRCA - 1954 - An animation illustrates features of X-11 and X-12 Atlas Intercontinental Ballistic Missile flight test vehicles. 4k00:211960s: A rocket at the launch pad prepares to liftoff, a smoke trail comes out from the rocket, the rocket takes off and flies. hd00:191960's: Liberty Bell 7 launches into suborbital flight.